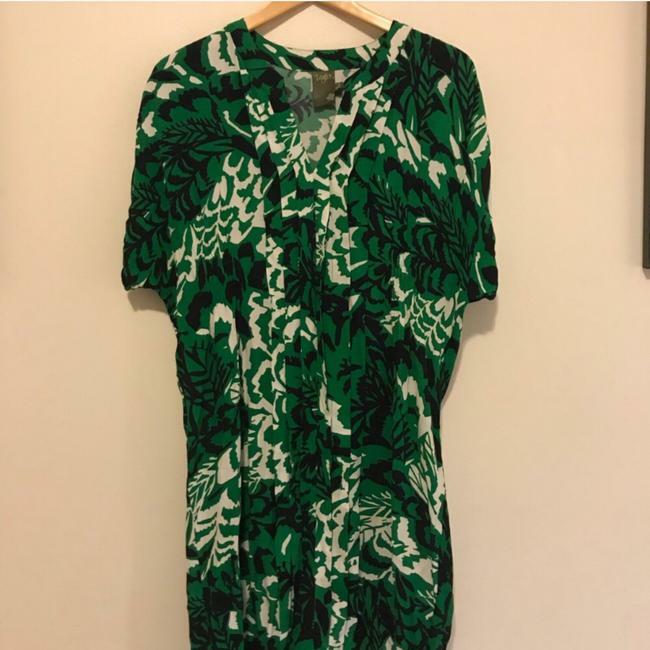 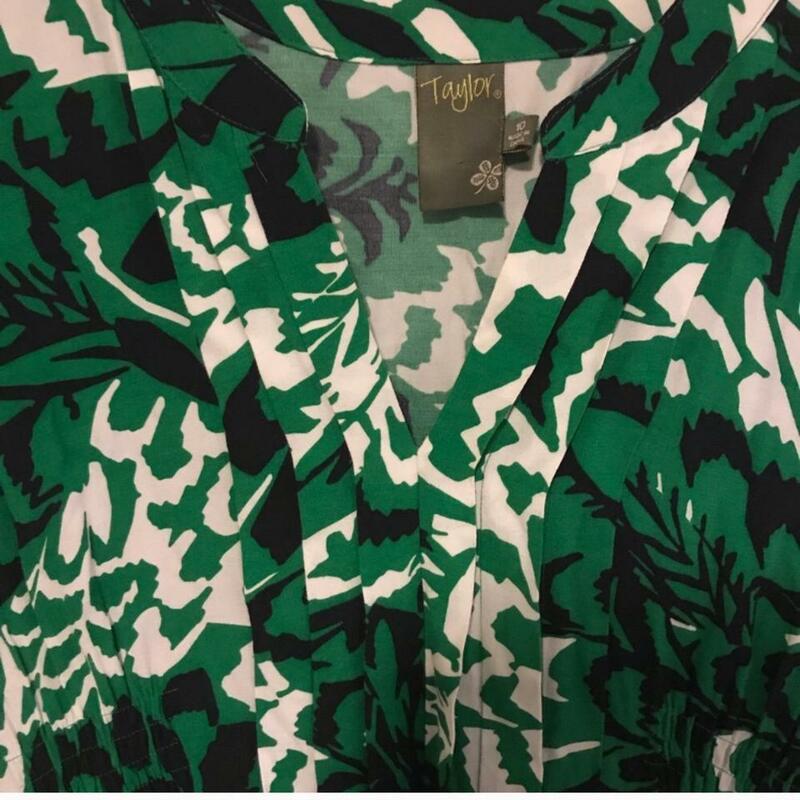 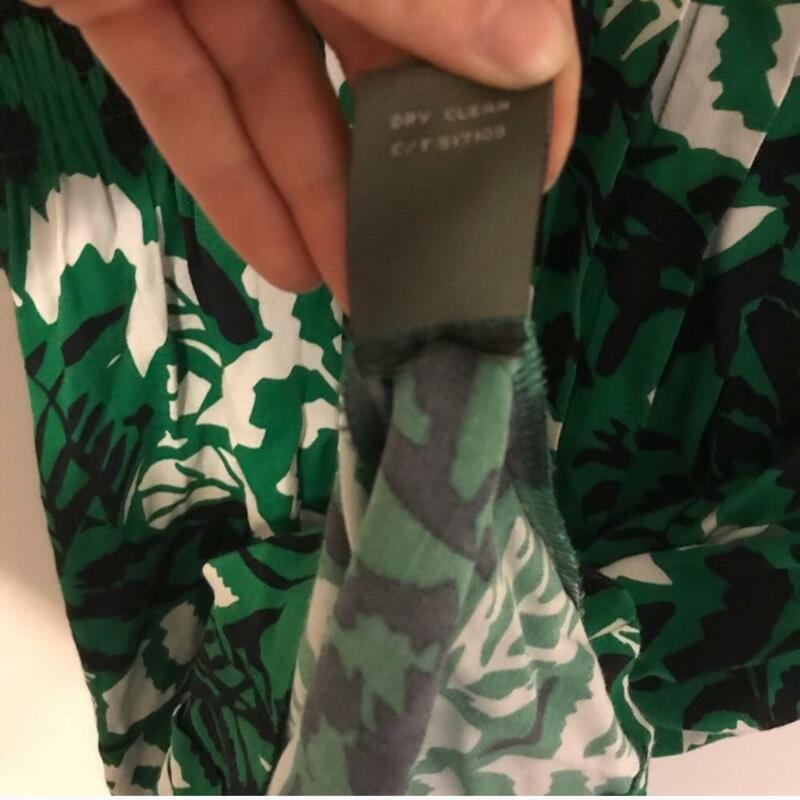 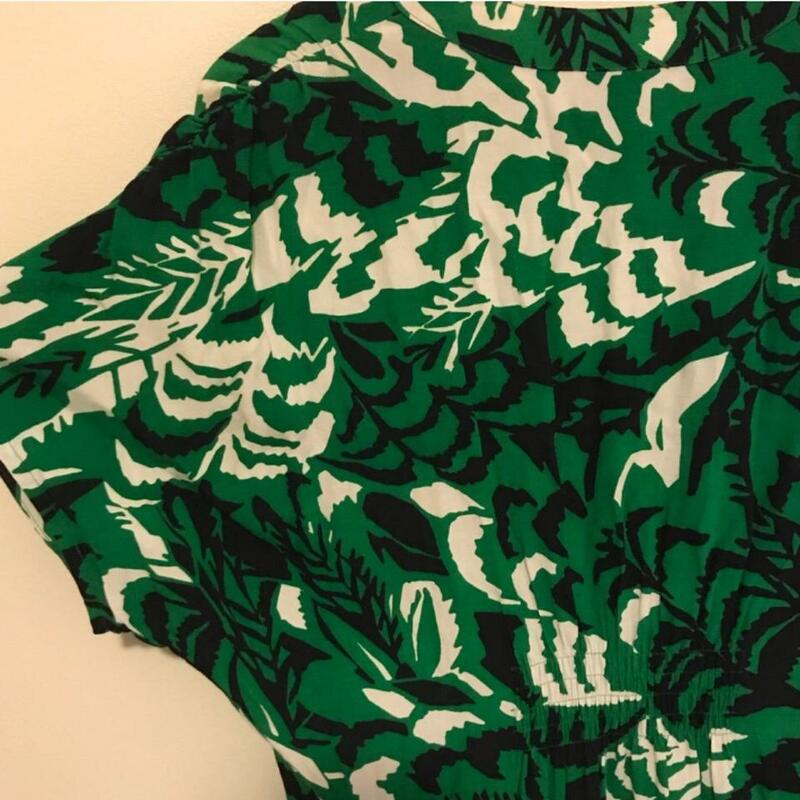 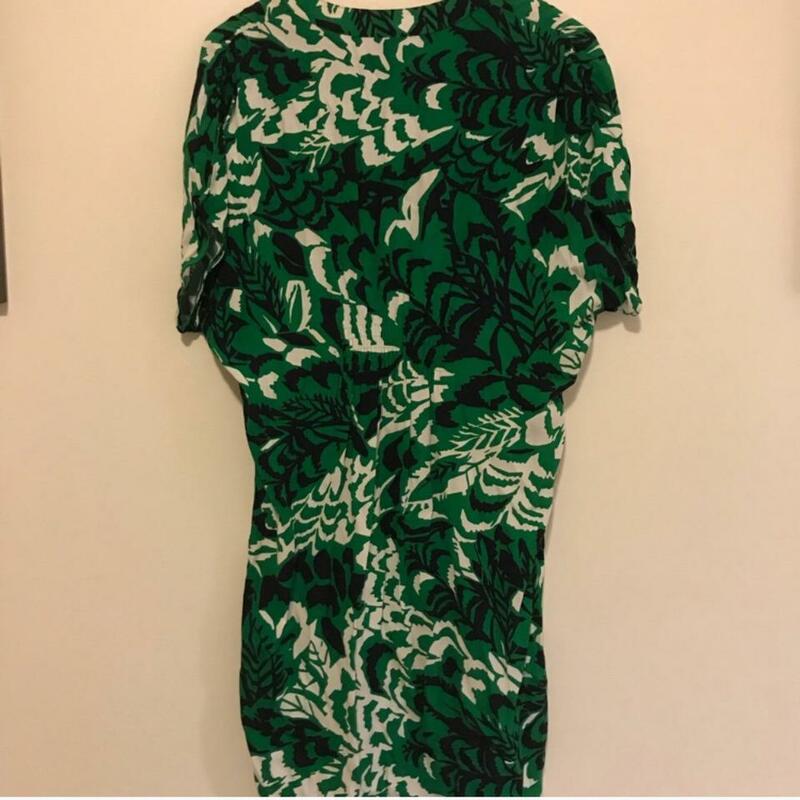 Cute green dress with a forest-like motif print throughout. Good condition normal wear. V-neck and pleated in front. 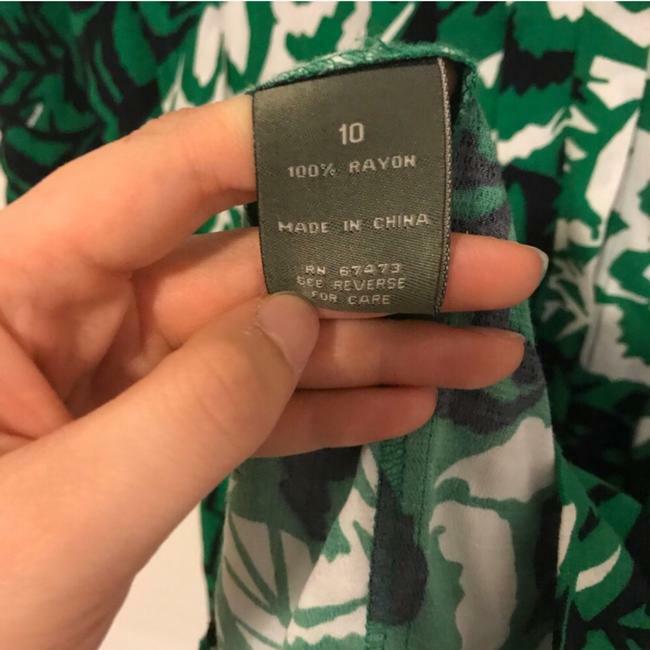 100% rayon. 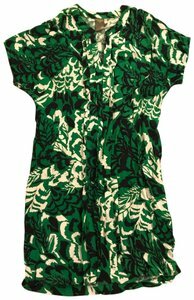 Dolman style sleeves.